A 17-year-old boy got his arm trapped inside a vending machine as he tried to steal a soda. 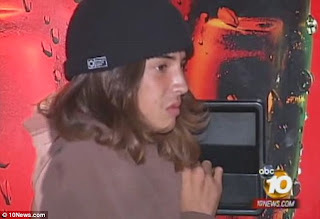 The Sweetwater High School student from National City, California spent about an hour with his arm lodged inside the Coca-Cola machine's receiving slot after he tried to grab a soda without paying. Firefighters and police used axes, crowbars, saws, various hydraulic tools and air chisels to finally free the boy. 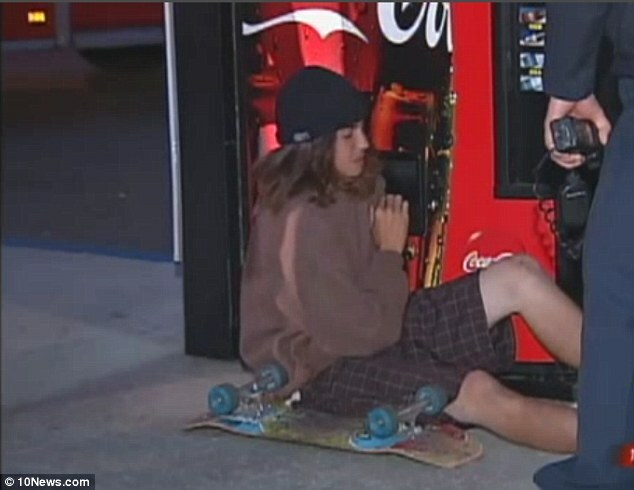 The boy had a skateboard with him when he decided to stick his arm up the slot where sodas usually fall down into so a person can retrieve their drink when they pay. Instead, the boy got his arm wedged inside. He struggled to break free making a number of attempts to get his arm out of the slot. A rider on a nearby trolley noticed the boy and called police. Firefighters and police, along with paramedics and trolley security, responded to the scene. 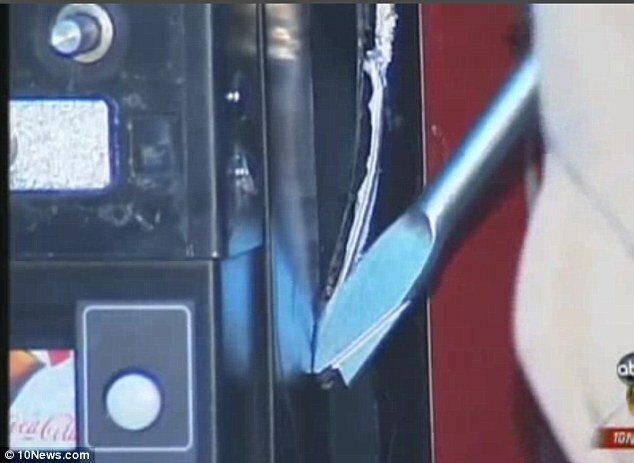 When emergency crews couldn't find any keys that would open the machine's door, they decided to use multiple tools to try to free the boy. 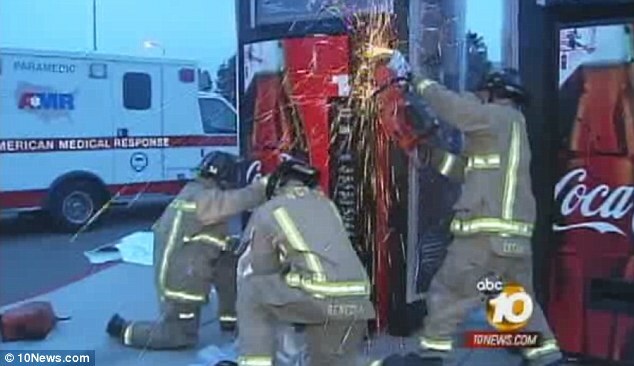 The fire officials first used axes hoping to cut down the sides of the machine. They next turned to crowbars hoping it would aid in releasing the teenager. Fire crews used a rotary saw and air chisels to finally break the boy free. The high schooler was treated for scrapes and arm numbness.